1988 - The second 'summer of love' - The UK is in the grip of acid house fever, warehouses, sports halls, basements and nightclubs are reverberating to the new dance sounds emanating from Chicago and Detroit. Unbeknownst to most at the time this halcyon year will go down in the history books as a defining time that will shape the future of dance music. All major cities in the UK had their own scene, their own sound and their own legends. Manchester is one such city, a much storied participant with a legendary musical pedigree. Enter Annette, built around vocalist Annette Dos Reis this was a veritable all-star group featuring Quando Quango's Mike Pickering, A guy called Gerald, A certain ratio's Simon Topping and respected studio face Ritchie Close all on production. 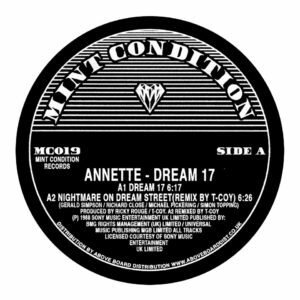 'Dream 17' was the group's first outing on the newly minted DeConstruction label in 1988 and boasted a truly original and fresh spin on the US sounds that were dominating dance-floors at the time, so much so that most people didn't believe the record was created in the UK! Obviously it made perfect sense to draft in Detroit's Derrick May to craft a stellar remix that pushed the record even further into the stratosphere. May's remix wasn't included on the original 12" and was hugely sought after by DJ's and jocks alike. 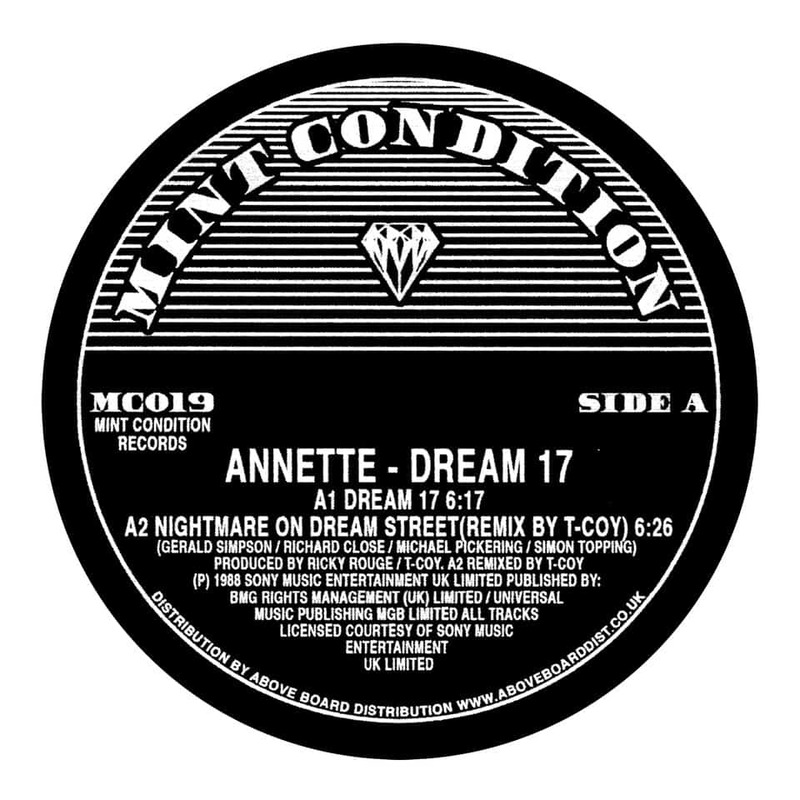 This is the first time all of the mixes of 'Dream 17' have been collected in one place, the complete package of this all time classic, a true old school transatlantic anthem available again for todays dance. 'Dream 17' has been legitimately released with the full involvement of the rights holders and remastered by Bristol's Optimal Mastering from the original DAT tapes especially for this release. 100% legit, licensed and released. Dug, remastered, repackaged and brought to you by the caring folks at Mint Condition!